The photographs on this website were taken by Annette Green. It is her wish that they be available and shared. Annette was a student at the International Academy for Continuous Education, Sherborne, Gloucestershire, England. 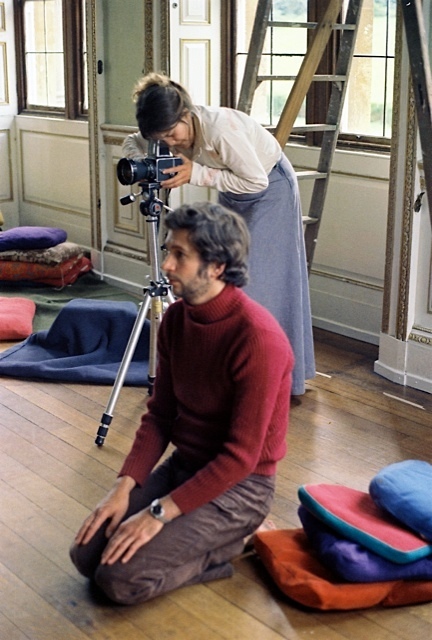 Annette Green, a graduate of the Royal College of Art, is a photographer who attended John Bennett’s International Academy for Continuous Education from 1972-1973. A former stills photographer in the film industry, she was introduced to Bennett by Diane Cilento, with whom she collaborated on a project to create a photographic Tarot. She is now retired and lives in Ireland. Sherborne House was the location of John Bennett’s school, The International Academy for Continuous Education from September 1971 until August 1976. The Academy was organized in ten-month courses attended by up to 100 students each year, between the ages of 18 and 80. These students underwent an intensive training in the techniques that Bennett had learned from G.I. Gurdjieff and his other teachers in the course of his fifty years of spiritual search. All the work of the running of the Academy was performed by students, as well as work on Gurdjieff’s sacred dances, food production, animal husbandry, meditation and study.